Gatetree is an independent church that is affiliated with the Southern Baptist Convention and partners with more than 40,000 other Baptist churches to support more than 8,000+ missionaries throughout the U.S. and around the world. Through the International Mission Board, North American Mission Board and the Cooperative Program Gatetree is enabled to do with other Southern Baptist churches what could not be done independently. Gatetree also belongs to the California Southern Baptist Convention, impacting 38 million people with the Gospel of Christ. In the 1800s, a missionary named Lottie Moon wrote letters from China urging American churches to fund more overseas workers. After Lottie's death on the mission field, an offering was started in her name. The offering was established to empower the international mission efforts of Southern Baptists. Gatetree Baptist Church receives an annual special offering to support the work of the International Mission Board (3,500+ missionaries) in advancing the gospel around the world and all, 100%, of the funds donated go to this purpose. 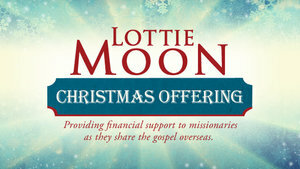 For more information about the Lottie Moon Christmas Offering, click here. Annie Armstrong's father died shortly after she was born in 1850. Her mother, a devoted Christian, encouraged her five children to see the needs around them and act. With fervancy, Annie devoted herself to compassion ministry. Traveling throughout the United States, Annie encouraged missionaries and challenges churches to give and support missions. She and other Southern Baptist women organized and led the effort to help establish the Home Mission Board (now the North American Mission Board) and the Foreign Mission Board (now the International Mission Board) in taking the gospel across American and around the globe. Gatetree Church receives an annual special offering to support the ongoing gospel work of Southern Baptist missionaries in the United States, Canada, and their territories (5,200+ missionaries). All, 100%, of the funds donated to this special offering to to support the work of the North American Mission Board. For more information about the North American Mission Board, click here. 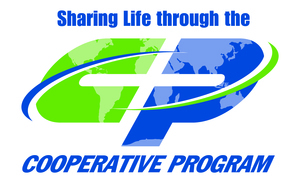 The Cooperative Program is Southern Baptists' unified plan of giving through which cooperating Southern Baptist churches give a percentage of their undesignated receipts in support of their local Southern Baptist state convention and national Southern Baptist missions and ministries. Gatetree Baptist Church voluntarily gives a portion of it annual receipts to the Cooporative Program. Around the world the men and women of the U.S. military are defending our freedom and helping to fight the war on terror. Many of these soldiers, sailors, airmen, and Marines live in cramped quarters with other personnel, in very uncomfortable and challenging circumstances, working hard and putting in long hours every day — too tired to read a Bible, even if they have one. The Military BibleStick reaches these service men and women, deployed in some of the most dangerous areas of the world, with God’s Word in audio — It can go with them and sustain them in even the most difficult circumstances. It contains the entire Audio Drama New Testament and selected Psalms and is only about the size of a pack of chewing gum. Gatetree Church is proud to support U.S. military service personnel in this very practical way by financially contributing to the effort to deploy the Military BibleStick around the world. 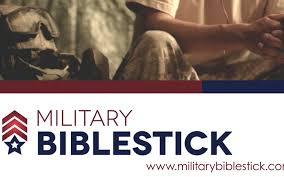 For information about the Military BibleStick, click HERE.